It is understood that corporate gifts & promotional products are essential aspects of the identity of a company, playing an important role in establishing the presence of the company in the market. However, this practice works only if the products are good and innovative. Both – corporate decision-makers and manufacturers should grasp an understanding of the requirement of people and then go ahead with deciding a gift, bringing harmony in the art of gifting and being gifted. Given that the companies face time crunch, corporate gifting companies come to their rescue, giving them the desired assortment of gifts. Avijit Dev, Marketing Manager, Episode comments, “The motto of course is on catering to the needs of the corporates like employee appreciation/promotional tie-ups/festive gifting/etc. this time of the year. Take for example the new devotional accessories (puja sets) with embedded crystals or the Lounge collection (combining silver with copper) or the elegant tea sets, trays, vases, bowls & dishes – all spell the class that Episode belongs to; And all this is a tribute from Episode to the corporate world.” Episode showcases its repertoire of over 2500 designs for all your day to day needs and for your personal and/or business gifting needs as well, making occasions memorable for lifetime. “The main line product is beautifully designed Combos of Neckties/Cufflinks /Wallet, Tie Cufflink , Wallet /Belts, Suit length/Tie to name a few. These gifts are designed and packaged in such a way that it gives an emotional appeal to the person to whom it is given and they think that the organisation cares for them making the bonding stronger,” adds Sanjeev Khanna, Director, Fashion Dezire. At Episode, all of the corporate collection launched this Diwali is set to be an ensemble put together afresh. Dev shares, “Flipping through the printed corporate brochure or scrolling through the e-brochure, one finds utilitarian attribute to be a major aspect of all the products other than the aesthetics that appeal to the beholder.” At Chemzone India, new range of products will include steel, leather, wood and pooja sets. Chemzone India was incorporated in 1974 with a vision to manufacture, export and supply all kinds of ceramic products for home, office and business purposes. The price range can serve almost every industry seeker, comfortably ranging from Rs 100 to Rs 10000. 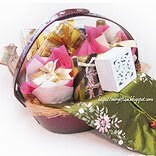 Corporate gifting companies have a diverse range of clients on their platter ranging from names like Hewitt Associates India Ltd., Tata Consultancy Ltd., Johnson & Johnson Ltd to prominent names from sectors like Banking, Infrastructure, Hospitality, Electronics & Consumer Durables, IT, Telecom, Schools, Real Estate, big Corporate brands among others. So, I guess it’s time to bond, create a lifetime relationship among employees, between employers-employees, among business houses and others! Happy gifting this Diwali!